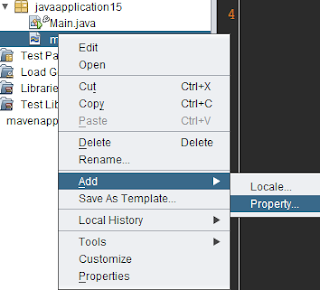 NetBeans opens a small dialog window and we can type the name, value and a comment (optional) for the new property. We click on the OK button to insert the property in our file. In the Project Navigator we can view all properties in a properties file by clicking on the little arrow in front of the file. We select the property and the editor jumps to right position in the file.